Baby and Toddler Organic Laundry is available at Todd Layne Cleaners in NYC. We also offer and Organic Laundry Service for adults . We have extensive experience with delicate baby clothing, and are trusted by hospitals. The Lenox Hill Neonatal Unit has used us to provide wash and fold laundry service for many years. Your baby’s skin is sensitive and needs extra care. Therefore, we only use Dreft or Seventh Generation detergent, which retains the soft feel and doesn’t add any harsh chemicals. All of our work is done in our renovated Laundromat, located inside our storefront on the Upper East Side at 242 East 77th Street. Most other online “cleaning” services don’t do their own work and merely outsource your babies laundry to a large commercial facility in Brooklyn or Queens. New Yorkers are savvy enough to know that you get what you pay for. Our service costs a little bit more, but we’re sure that you will agree it’s worth it. Trust Todd Layne, we’ve been an American Express Favorite since 2006. Our Laundromat has a dedicated hypoallergenic washer and dryer. These machines are sanitized after each wash and dry cycle and our employees wear gloves when handling dirty garments. Clean gloves are worn when folding baby and toddler laundry. Baby and toddler clothing is never mixed in the same washer/dryer with other customers clothing! We know it’s gross, but unfortunately very common in the NYC laundry industry. The Seventh Generation detergent that we use is unscented and chemical free. Dreft is also available as an option. There is no additional charge for these detergents and complimentary same day service is available. All baby and toddler laundry is charged by the pound. If you have any special requests, e.g. fold method, washer/dryer temperature, special detergent/softener, let us know and we will be happy to honor your request. Don’t worry, we have handled all kinds of requests…so don’t be shy about asking us. Many blankets and stuffed animals can be washed separately with a similar process that is described above, and these items are charged by the piece. We can also sanitize strollers, toys and other items that cannot be washed with the Verilux UV-C system. This system kills up to 99.9 percent of germs, viruses and other micro-organisms. Organic laundry service is also available for adults with allergy or chemical sensitivities. 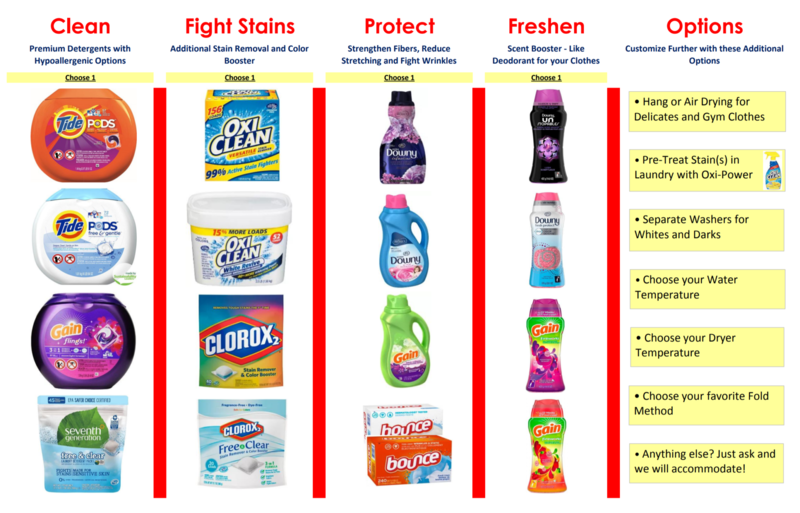 This wash and fold organic laundry offers some additional choices for unscented fabric protectors and stain fighters. Click here to see our new menu of selections. All laundry is charged by the pound. 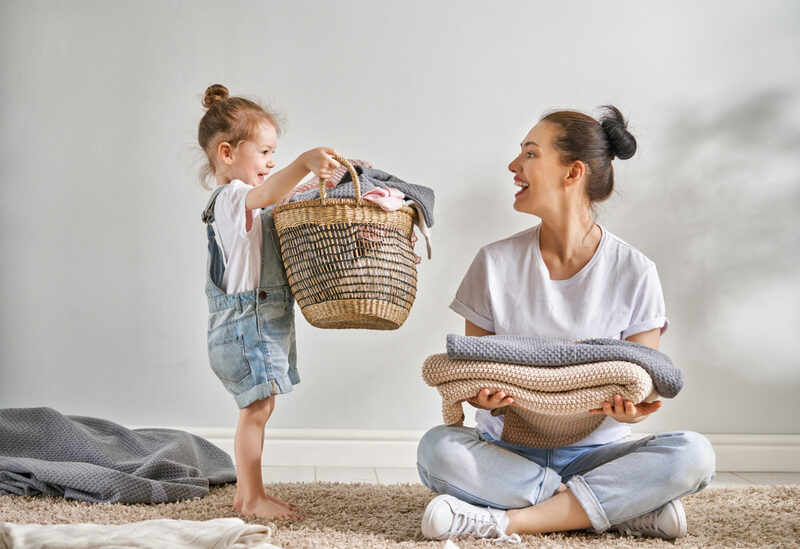 Pickup and Delivery of baby and toddler laundry is complimentary throughout the Upper East Side and Upper West Side of Manhattan from 59th to 110th Street. We can accommodate orders outside of this area, but a messenger fee will apply. Complimentary same day service is available. Feel free to reach out with any questions about this blog or any of our services. Text/Call 646.661.4777 to setup your first pickup. If you are texting, use the message “new customer” and we will take care of the rest. You can also click here to register online for an account with us. Special Instructions and all of your preferences will be saved and you can schedule a one hour pickup or delivery window. Yes, we have an app too. Click on one of the links below and install our brand new Todd Layne Cleaners app. Use our app to save your preferences/special instructions and schedule pickups and deliveries with a one hour window. Click here for our most common FAQ’s.